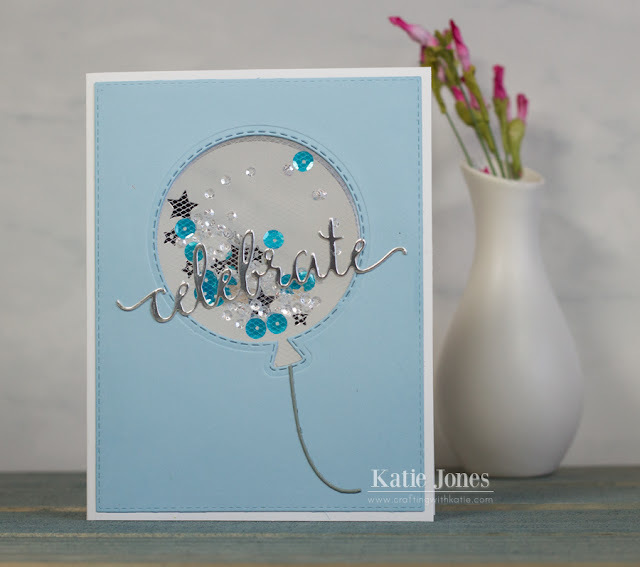 crafting with katie: Birthday Shaker Card with Tulle! So pretty and a fun technique! Love the blue and silver.